Check out the latest post in our FILM NEWS section. Even established Hollywood Directors are doing it! Distribute Your Film Yourself! 01/27/2011 0 Comments Director / Writer: Kevin SmithRed State, Kevin Smith's latest (1st) horror flick.Play Pause Writer, Director, Actor Kevin Smith also popularly known as 'Silent Bob', an established player in Hollywood in his own right is distributing his own flick. Taking a stand against the idea that the marketing of a film is sometimes more than double the actual production costs of the film and saying that there's more than one way to get your film into the cinema. The following was referred to me by Local Director/Writer/Actor Khairil M Bahar. And of you're working on something. 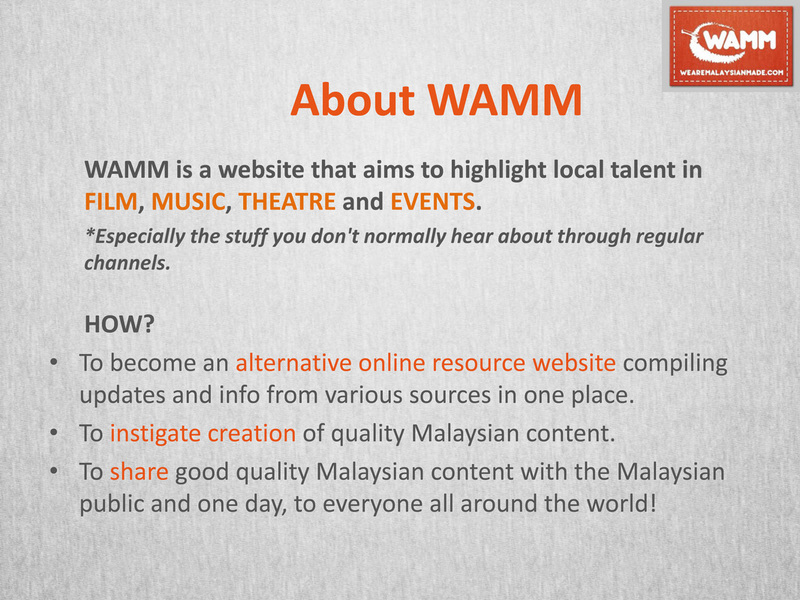 How about sharing it with us on WAMM? We could turn it into a community project perhaps? Just an idea. Write to michael@wearemalaysianmade.com if you are keen on this! KLPAC Open Day 2011 was awesome! KLPAC's Open Day was awesome today. Personally, I was there from 11am and stayed till 4-ish. There was so much going on, I couldn't get a handle on everything. I just wandered around and soaked in the positive theatre atmosphere. Our screening was very well received with the INDICINE filled up to kick off our session at 1pm-3pm and the room remained filled up throughout with people coming in and out throughout. Some people stayed from the beginning and at the very end, approached me to ask if they could purchase some of the short films I screened! I'd like to thank all the filmmakers who let me screen their films everywhere I go and also to the peeps who attended the screening. You lot rock! KLPAC Open Day this Sunday! 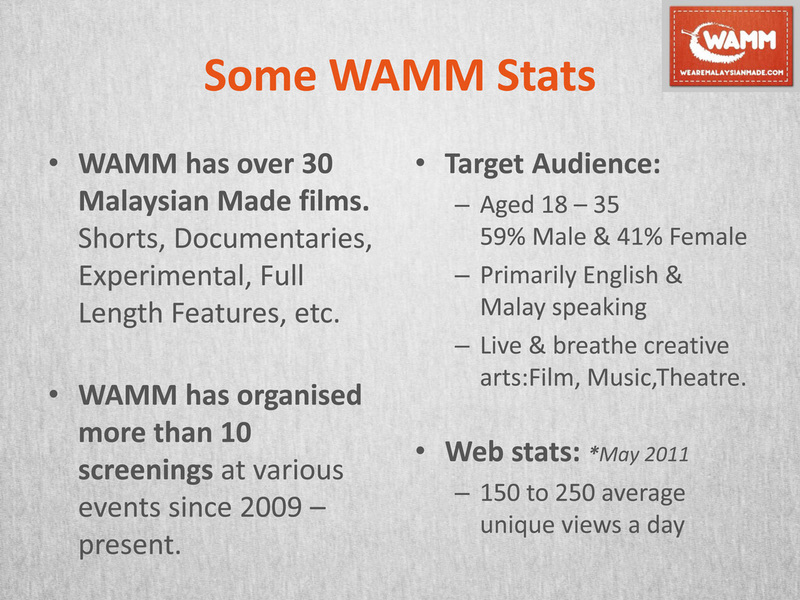 WAMM will be there screening some of our favourite short films we have in our collection in the INDICINE between 1pm - 3 pm. Entrance if FOC. So come on by! If you've got a short film you wish to get screened. Come on down and look for this guy: Michael Chen aka me. I will also be singing at the Acoustic Lawn fr 11am-11.30am. So you can catch me with your short film in DVD there!